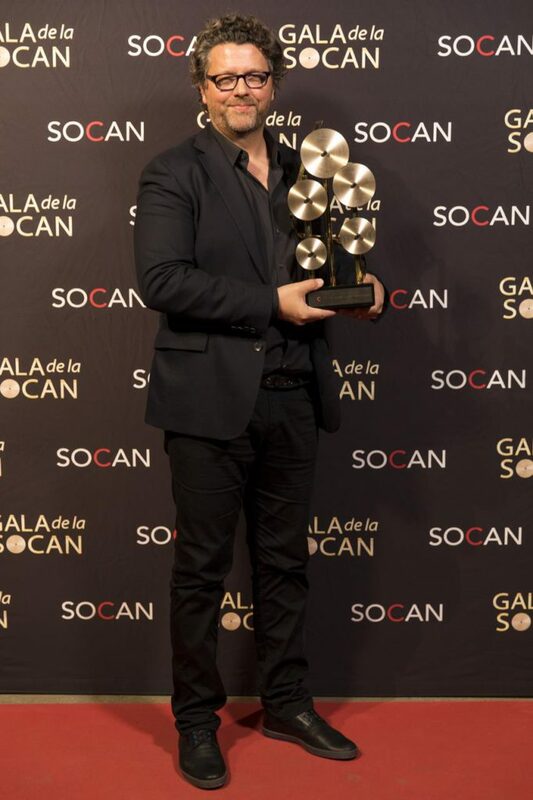 Michel Corriveau, one of SOCAN’s #ComposersWhoScore, was the inaugural winner of the Screen Composer of the Year award during SOCAN’s 28th annual Montréal Gala, held Oct. 16, 2017, at La TOHU. The 28th Montréal SOCAN Awards Gala was held at La TOHU on Oct. 16, 2017. Michel Corriveau received the inaugural Screen Composer of the Year Award. Indeed, 2016 was a jam-packed year for the composer. His music was used in the Québec productions Les pays d’en haut (SRC) and Prémonitions (AddikTV), as well as that of the French production Versailles (Canal+). He also composed music for the feature film Anna, which was saluted at the Gala of Québec Cinéma, and the Prix Écrans canadiens, and rewarded at the Los Angeles Independent Film Festival Awards. Those awards were well-deserved by this music creator, who possesses a keen artistic sensibility.